We found this recipe from TASTE OF HOME WEBSITE, we thought it looked wonderful, has cream cheese in it (can you go wrong with cream cheese) and we love french toast at this house. So we got all the stuff and had fun making it! 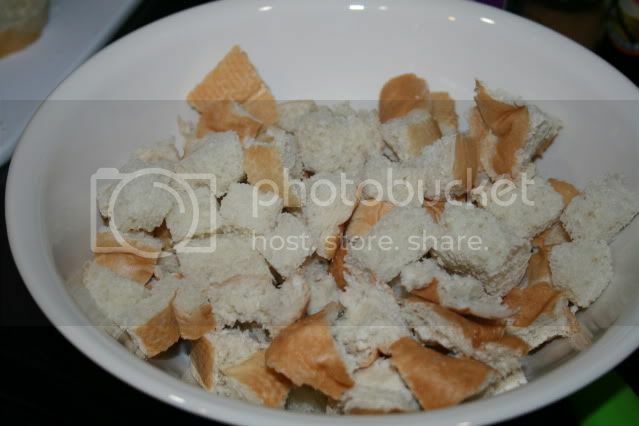 Place bread in a greased 2-qt. 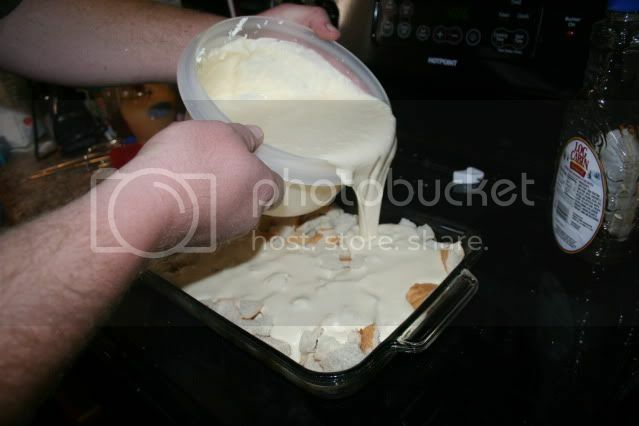 baking dish; press down gently. Sprinkle with raisins. In a small bowl, beat cream cheese until fluffy. 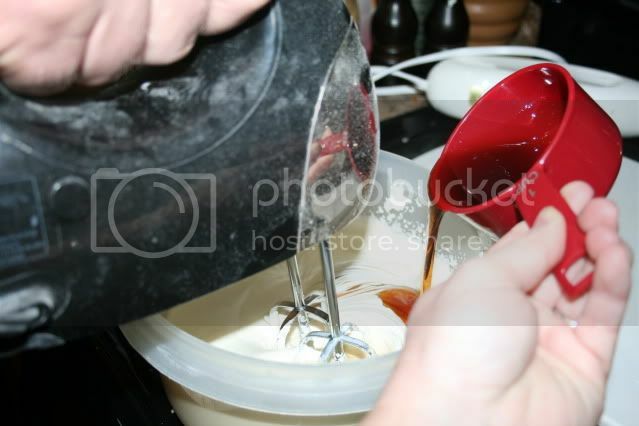 Gradually beat in whipping cream and syrup; mix well. 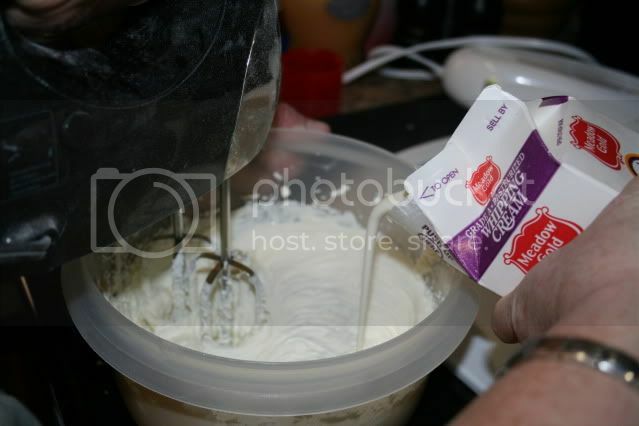 Whisk together the eggs, vanilla, cinnamon and salt; add to cream cheese mixture. 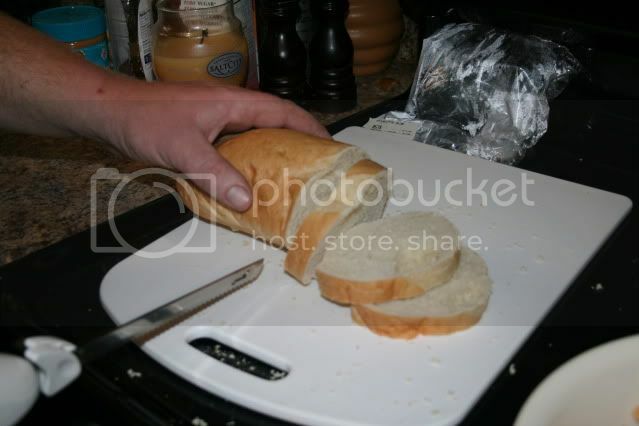 Pour evenly over bread; lightly press bread into egg mixture with a spatula. Cover; refrigerate for 8 hours or overnight. Remove from the refrigerator 30 minutes before baking. 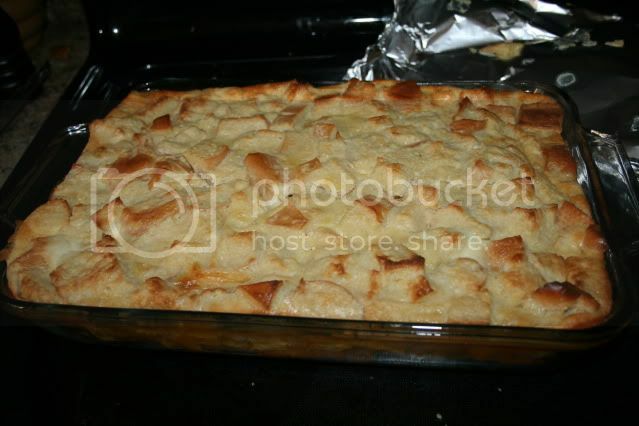 Cover and bake at 375° for 25 minutes. 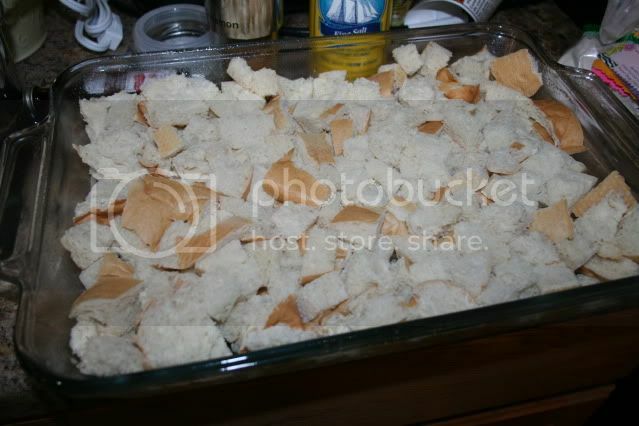 Uncover; bake 20-25 minutes longer or until center is set and the top is golden brown. Serve with syrup. Yield: 6 servings. We actually rated it a 3 spoon and I would normally try another recipe to give you since it wasn't that great to even share with you, BUT I ran out of time, so I guess if any of you have seen this and wanted to try it this is my family's opinion! Why the 3 spoon only? We were deceived and if you hadn't known there was cream cheese in it, you would have NEVER known. Sorry I had to share a not so great... but don't get me wrong it was good... just too much work when you can get the same flavor by dipping your break in egg, milk, vanilla dipping and fry up yourself- much faster too! Oh I bet this is a great recipe for Brunch or when family visits! I agree that if you need a "make ahead" meal this is probably good, but I appreciate even that you posted it was only 3 spoons because it warns me away from something like this unless there are circumstances that warrant the prep time. Brandy, I've got a fabulous Baked French Toast recipe that's similar to this but about 1/4 of the amount of work involved. (It's got raspberry jam instead of maple syrup for flavor.) I make it for Christmas morning every year - let me know if you want the recipe! Easy Beef Stroganoff...Crock Pot Style! What's on Your Table? + a Winner!